We talked with Jim Ciampaglio, Vice President Channel Partners at Hostway - a leading high performance web hosting provider since 1998. HOSTSEARCH: Jim, thank you very much for an opportunity to talk with you today. Can you please tell our visitors a bit about your position at Hostway? JIM CIAMPAGLIO: As VP of Channel, I drive channel partnership activities for all Hostway services, managing Hostway’s relationships with existing partners and forming new alliances with partners of all sizes. JIM CIAMPAGLIO: Hostway Services, Inc. is a leader in web hosting solutions. Hostway delivers reliable, secure and scalable hosting solutions to more than 500,000 customers worldwide. 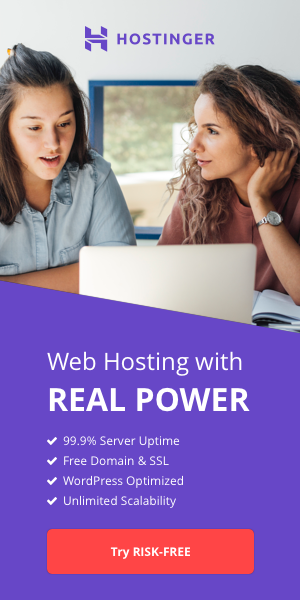 Hostway has emerged as one of the largest cloud hosting and Infrastructure-as-a-Service providers in the world due to the company's expertise in developing secure, multi-tenant hosting environments, and is committed to providing SMBs and large enterprises with cost-effective business solutions. Hostway's core products include Dedicated Servers, Virtual Private Servers and Shared Web Hosting, along with Email and Application solutions. HOSTSEARCH: Can you please explain the Application Hosting? What are the advantages to the customers using this service? JIM CIAMPAGLIO: We've got the email solutions and applications that Reseller Partners need to manage their online presence or to resell to their end-customers. These cloud-based solutions help organizations of all sizes reduce IT infrastructure costs and improve productivity. Hostway’s suite of products cover basic webmail configurations, advanced corporate email accounts, and business tools to help you communicate, collaborate and increase overall efficiency at rates you’ve never experienced before. We also have Marketing Application tools that make it easy for you to create and nurture your web presence. We’ll help you create a website, take it mobile and get started in social media. Plus you’ll be able to bring in new customers through search engines, local directories and email campaigns. Let us help you get found. HOSTSEARCH: I noticed Hostway partners with Microsoft to offer customers hybrid cloud and Azure-enabled solutions. What are the advantages of that? JIM CIAMPAGLIO: The advantages of using Azure-based solutions center on the usability and industry-tested technology that Microsoft offers. We are a Tier 2 partner in the Microsoft CSP program, which allows us early access to new and emerging Microsoft technologies. This in turn allows us to find the best solutions for our customers’ business and technology requirements. HOSTSEARCH: What is the benefit to the users who are using your E-commerce hosting services? How do you distinguish yourself from others? JIM CIAMPAGLIO: Much of the success of an e-commerce website comes down to its responsiveness, scalability and resiliency. The longer your site takes to load, the more visitors will bounce to another vendor. If your site has a spike in traffic – either seasonal and expected, or entirely unplanned – it has to be able to handle that maximum level of traffic, but in a cost-effective way. And your site can’t afford to go offline. Our cloud infrastructure enables all of these crucial qualities. JIM CIAMPAGLIO: We’re partners with Microsoft, Dell, BAE Systems and other technological leaders, who ensure that our customers have cutting-edge equipment available. HOSTSEARCH: Let’s talk about customer support. Can you please tell us more about how Hostway supports its customers? JIM CIAMPAGLIO: Support is clearly a keystone to any relationship with a Reseller Partner, so we invest deeply in doing it right. Hostway also offers upper tier help desk support. Our Reseller Partners skip Tier 1 support and call directly into at least Tier 2 support. This level includes staff technicians that are experienced in troubleshooting and product development. These agents have access to a variety of diagnostic and data analysis tools as well as a database of available solutions. This helps ensure the technician has a full understanding of the issue at hand. Once the new reseller has been established, it is time to spread the word about their expanded services. In this regard, Hostway supports the reseller’s sales and marketing efforts, helping our Reseller Partners to reach a wider range of potential customers. Hostway provides sales and product training to Hostway Resellers, ensuring that sales agents have all the knowledge and materials they need to engage current customers and attract new ones. In addition, Hostway also offers joint marketing dollars along with co-branded marketing materials, webinars, videos, white papers and presentations. 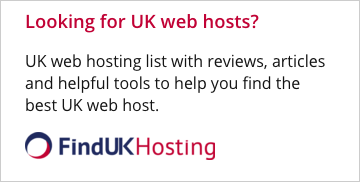 HOSTSEARCH: You offer such a broad range of partnership Hosting Reseller options, can you tell us how does your service differ from other companies in the market? •	The level of support we offer: Dedicated account managers, access to Tier 2 / Tier 3 / Sys Admin support. These are all huge, since our resellers are technical and don’t need to call into Tier 1 and then wait to get escalated to Tier 2 support). Add in our sales and marketing support: We do the heavy lifting and offer all the information and brandable materials to our Partners. •	We offer not only tiered discounts, but also the first month free. Allowing our resellers time to ramp up, set up, move customers over – without having to double-pay for servers. •	We offer free migration support or cash back. If you have servers anywhere else and you want to switch or even consolidate, we offer free standard migration. If you need to manage the migrations yourself, we offer cash back. •	We also have a Reseller Partner Portal, where our Partners can log in and get all the information they need, and connect with other Resellers – resellers being able to talk to other resellers is a huge benefit to our Reseller Partners. HOSTSEARCH: As the Vice President Channel Partners of Hostway, what is your strategy to ensure that your business will continue to grow and expand? JIM CIAMPAGLIO: We give Partners what they want and need to make their businesses successful. We are focused on increasing and expanding our Reseller discounts, training, technical/customer support, sales and marketing tools to help Reseller Partners grow their business. We also provide robust technical and non-technical solutions – and we are continuously improving and growing at our solution portfolio. And we will still provide industry-leading levels of support that ensure that Sys-Admin assistance is just a call away. Put simply, we are focused on helping our Reseller Partners succeed.